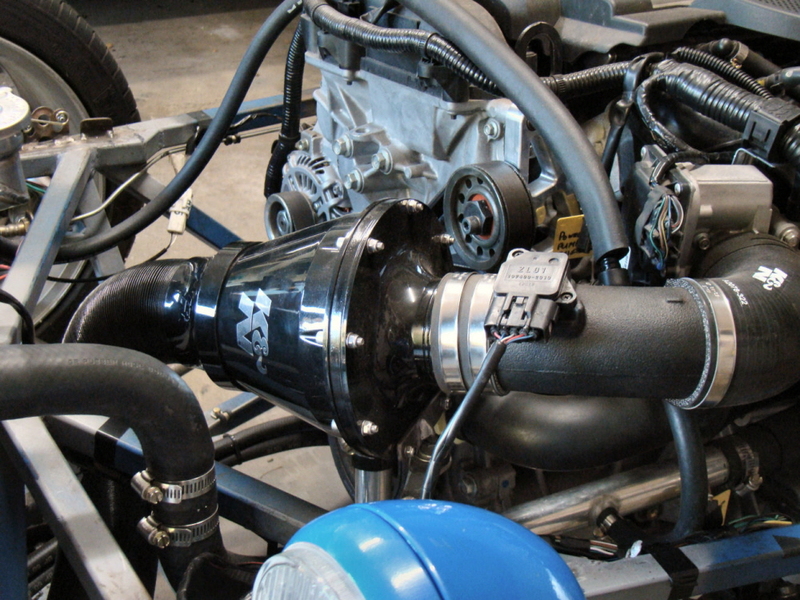 K&N Apollo Air Filter Pod designed for an MX5. The filter is inside the plastic housing to protect it from engine bay heat and an intake duct picks up cool air from outside the car. The standard MX5 Mass Air Flow Sensor is retained with this set up.